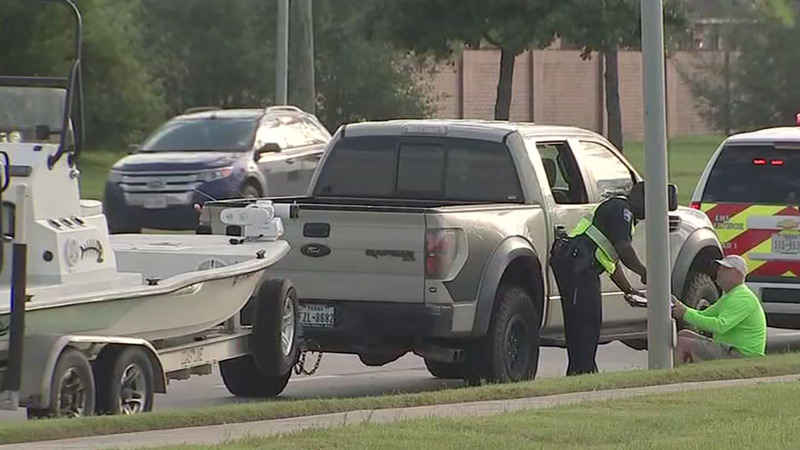 PEARLAND, TX (KTRK) -- Pearland police have released the identity of the female jogger who was fatally struck by a boat trailer Sunday morning. Officers say a woman was out jogging at Southern Trails and Broadway in Pearland around 7am Sunday. Elizabeth Perez, 31, was running northbound along the sidewalk on Southern Trails Drive approaching the intersection of Broadway Street and Southern Trails. Witnesses told police that Perez was wearing headphones as she waited to cross Broadway. A man driving a pickup pulling a boat trailer had a green light and witnesses said that as the truck passed the southeastern corner of the intersection, Perez ran out into the roadway right behind the truck and was struck by the boat trailer. The driver of the truck stopped and began rendering aid. Perez sustained life threatening injuries and was transported by Hermann Life Flight to Memorial Hermann Hospital in the Texas Medical Center, where she later died. Pearland police conducted a reconstruction of the crash scene and the investigation is still on going at this time.